Includes nine Queen classics: We Will Rock You, Brighton Rock, Keep Yourself Alive, Bohemian Rhapsody, Don’t Stop Me Now, Now I’m Here, Ogre Battle, Tie Your Mother Down, We Are the Champions. This is the famous Brian May of Rock Band Queen Star Licks Video made in 1983. The original video came with a guitar tab booklet. As a teenager I found the way the tab was written difficult to follow. So Ive written the tab out as standard and added it to the screen. Classic track from the 1977 Queen album News Of The World penned by Freddie Mercury in 6/8 time and in the key of E Flat. There are two Brian May guitar parts. This video obviously just plays one with the lead guitar too. 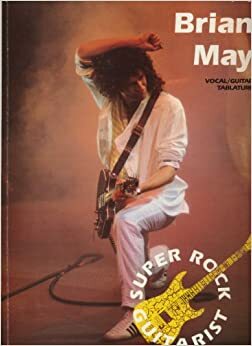 Written by Freddie Mercury, “We Are the Champions” was built on audience response, with Brian May stating; ‘We wanted to get the crowds waving and singing. It’s very unifying and positive’. Musically, it is based around Mercury’s piano part, with Roger Taylor and John Deacon providing a drums and bass guitar backing. May overdubbed some guitar sections, initially subtle, but building to a ‘solo’ played simultaneously with the last chorus. Mercury employed many jazz chords (major and minor 6th, 7th, 9th, 11th and 13th harmonies), and the choruses featured these voiced as 4 and 5-part vocal harmonies. The lead vocal is very demanding and strident (highest point is a C5 both belted and in falsetto), with one of Mercury’s most notable performances taking place at the Live Aid concert, at Wembley Stadium, London in 1985. The single featured “We Will Rock You” as a B-side, and followed the song on the album. The two songs were often played consecutively at the close of Queen concerts, and are customarily played together on radio broadcasts (in album order). Keeping with tradition, it was also used to close the 1992 Freddie Mercury Tribute Concert with all the show’s acts joining in behind the lead vocal of Liza Minnelli. “These Are the Days of Our Lives” is a song by the English rock band Queen. Although credited to the whole band, it was largely written by drummer Roger Taylor, and is the eighth track on the band’s 1991 album Innuendo. Keyboards were programmed by the four band members in the studio, and conga percussion (a synthesised conga) was recorded by their producer David Richards (although it was mimed in the video by Roger Taylor). It was released as a single in the United States on Freddie Mercury’s 45th birthday, 5 September 1991, and as double A-side single in the UK three months later on 9 December, in the wake of Mercury’s death, with the seminal Queen track “Bohemian Rhapsody”. The single debuted at #1 on the UK Singles Chart, and remained at the top for five weeks. [The song was awarded a BRIT Award for “Best Single” in 1992. “These Are the Days of Our Lives” hearkens back to similarly themed 1975 Queen song “Love of My Life”, twice using the line “I still love you”. At the end of the song, Mercury simply speaks those words, as he would often do in live versions of “Love of My Life.